Kings County Distillery – Go THIS Saturday! Grab your friends and take a quick ride on the subway for the perfect Saturday! If you live in the New York area (or happen to be in town for a visit), you’ll be happy to add the following to your weekend schedule. Kings County Distillery (aka “New York City’s oldest distillery” … and … well …. 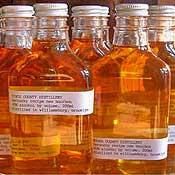 it’s our only distillery) is open for free tours & tastings at their Brooklyn distillery THIS Saturday! They are only open to the public 1 day / month so make sure you mark your calendar and head on over. Click HERE or on the photo above to be taken to their website. I had the pleasure of visiting this great, hidden gem last month and have been savoring my purchase ever since. Added bonus – the Kings County Jerky company is just down the hall from the distillery! 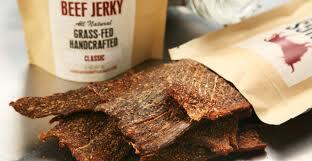 Make sure you stop in and sample some of their amazing grass-fed beef jerky. They make many creative, different & delicious flavors – I can’t think of a more perfect pairing than beef to go with a strong, smoky bourbon! When you’re done, head on over to Motorino Pizza for some rockin’ Neapolitan pizza. Now, doesn’t it feel good to support local businesses? § One Response to Kings County Distillery – Go THIS Saturday! « Welcome to Whisky Woman’s new home! You are currently reading Kings County Distillery – Go THIS Saturday! at The Whisky Woman.